A few weeks ago I took my camera on a mini field trip to our local high-end nursery, where, among other things, I shot these gorgeous pink Canna lilies in the noonday sun. I then moved some leaves around and combined several of them for the painting. 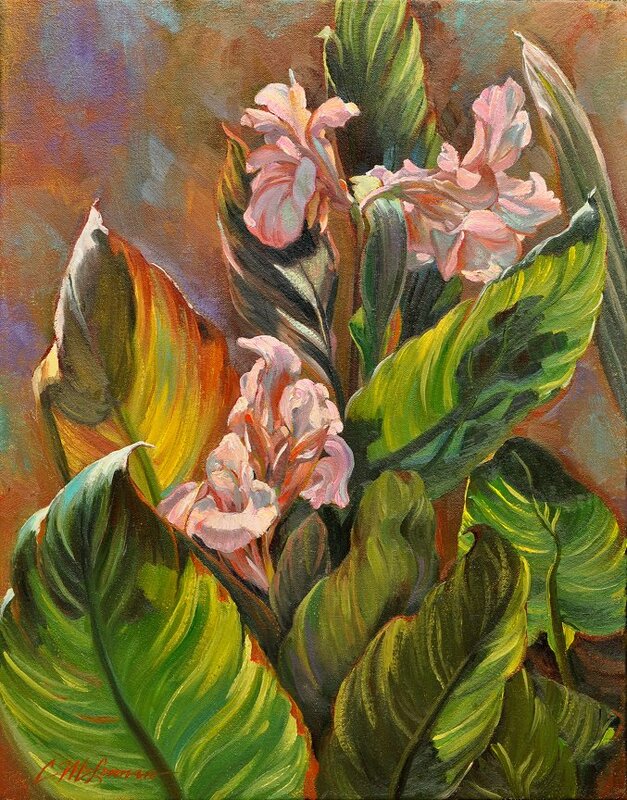 Connie, the Canna lilies are beautiful! Of course, I love ALL your paintings! Hope to see on the Autumn Art Tour! Thanks so much Chris. So glad you left a comment. I look forward to seeing you in November, too.